Welcome to the KatzGlassDesign online store where we showcase all works of art handcrafted by glass artist Bernard Katz. Each piece is in stock and available to ship 2-3 business days. Functional contemporary and traditional handmade vases for interior home & commerical interiors. Hand Blown glass sculpted bonsai tree vase. Carefully created with jade glass color leaves with textural tree roots in brown. Glass Vase in light blue color with layers of gold leaf mountains. A luxurious limited edition series by Bernard Katz. Hand blown glass opaque patterned orange with black interior and foot. Signed by the artist and only one! Colorful layers of glass colors of green, blue and brown. Interior green color with black button bottom. 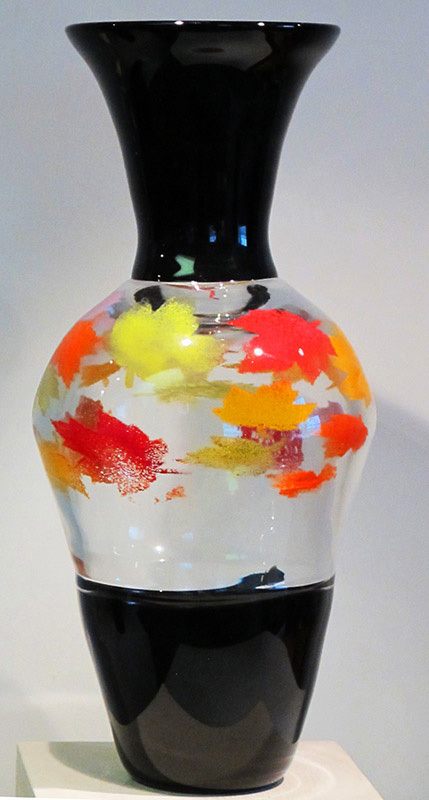 This gorgeous hand blown glass vase is our Encalmo Foliage Vessel from our Foliage Series. This is a spectacular piece! "The vases arrived safely today and they are SPECTACULAR! They are even more amazing in real life and we are so pleased with them! Our compliments to the artist!" -Cinnamon Equis ﻿8/18 shown below in their home. 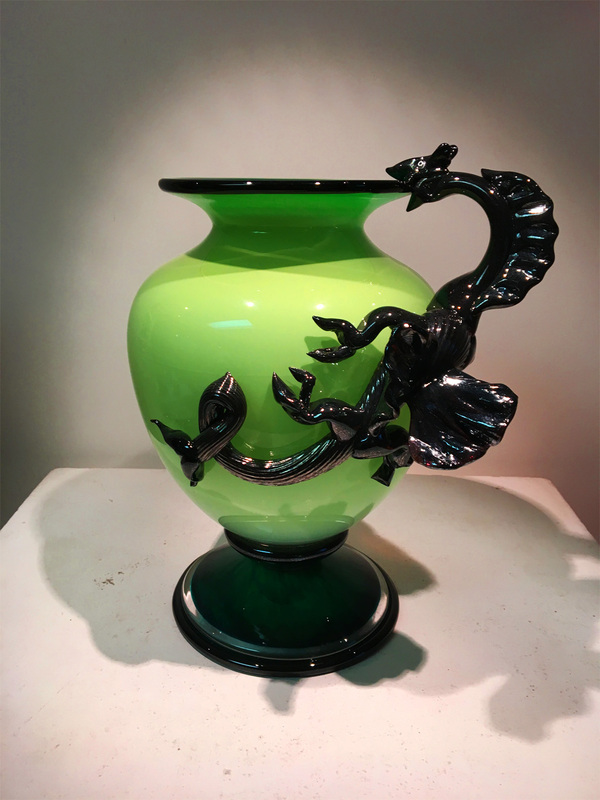 "I﻿t's no secret, I have a thing for vases and this vase is everything I had hope for and more. It's a lovely piece of art, has a nice weight to it and it's GORGEOUS! Katie was quick to respond to my inquiries and great to work with. Thank you Bernard and Katie!"